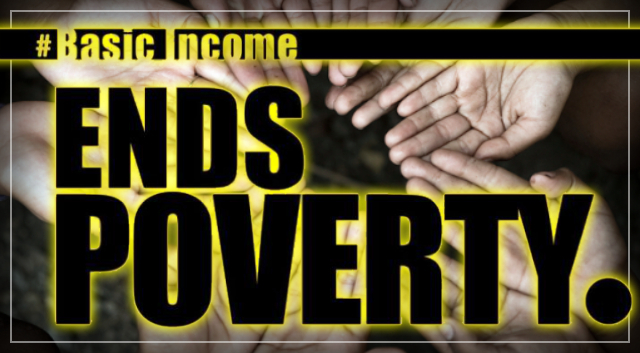 Getting Basic Income Right – Kemal Dervis. Universal basic income (UBI) schemes are getting a lot of attention these days. Of course, the idea – to provide all legal residents of a country a standard sum of cash unconnected to work – is not new. The philosopher Thomas More advocated it back in the sixteenth century, and many others, including Milton Friedman on the right and John Kenneth Galbraith on the left, have promoted variants of it over the years. But the idea has lately been gaining much more traction, with some regarding it as a solution to today’s technology-driven economic disruptions. Can it work? The appeal of a UBI is rooted in three key features: it provides a basic social “floor” to all citizens; it lets people choose how to use that support; and it could help to streamline the bureaucracy on which many social-support programs depend. A UBI would also be totally “portable,” thereby helping citizens who change jobs frequently, cannot depend on a long-term employer for social insurance, or are self-employed. Viewing a UBI as a straightforward means to limit poverty, many on the left have made it part of their program. Many libertarians like the concept, because it enables – indeed, requires – recipients to choose freely how to spend the money. Even very wealthy people sometimes support it, because it would enable them to go to bed knowing that their taxes had finally and efficiently eradicated extreme poverty. The UBI concept also appeals to those who focus on how economic development can replace at least some of the in-kind aid that is now given to the poor. Already, various local social programs in Latin America contain elements of the UBI idea, though they are targeted at the poor and usually conditional on certain behavior, such as having children regularly attend school. But implementing a full-blown UBI would be difficult, not least because it would require answering a number of complex questions about goals and priorities. Perhaps the most obvious balancing act relates to how much money is actually delivered to each citizen (or legal resident). In the United States and Europe, a UBI of, say, $2,000 per year would not do much, except perhaps alleviate the most extreme poverty, even if it was added to existing social-welfare programs. An UBI of $10,000 would make a real difference; but, depending on how many people qualify, that could cost as much as 10% or 15% of GDP – a huge fiscal outlay, particularly if it came on top of existing social programs. Even with a significant increase in tax revenue, such a high basic income would have to be packaged with gradual reductions in some existing public spending – for example, on unemployment benefits, education, health, transportation, and housing – to be fiscally feasible. The system that would ultimately take shape would depend on how these components were balanced. In today’s labor market, which is being transformed by digital technologies, one of the most important features of a UBI is portability. Indeed, to insist on greater labor-market flexibility, without ensuring that workers, who face a constant need to adapt to technological disruptions, can rely on continuous social-safety nets, is to advocate a lopsided world in which employers have all the flexibility and employees have very little. Making modern labor markets flexible for employers and employees alike would require a UBI’s essential features, like portability and free choice. But only the most extreme libertarian would argue that the money should be handed out without any policy guidance. It would be more advisable to create a complementary active social policy that guides, to some extent, the use of the benefits. Here, a proposal that has emerged in France is a step in the right direction. The idea is to endow each citizen with a personal social account containing partly redeemable “points.” Such accounts would work something like a savings account, with their owners augmenting a substantial public contribution to them by working, studying, or performing certain types of national service. The accounts could be drawn upon in times of need, particularly for training and re-skilling, though the amount that could be withdrawn would be guided by predetermined “prices” and limited to a certain amount in a given period of time. The approach seems like a good compromise between portability and personal choice, on the one hand, and sufficient social-policy guidance, on the other. It contains elements of both US social security and individual retirement accounts, while reflecting a commitment to training and reskilling. Such a program could be combined with a more flexible retirement system, and thus developed into a modern and comprehensive social-solidarity system. The challenge now – for the developed economies, at least – is to develop stronger and more streamlined social-solidarity systems, create room for more individual choice in the use of benefits, and make benefits portable. Only by striking the right balance between individual choice and social-policy guidance can modern economies build the social-safety programs they need. Previous PostAbuse breeds child abusers – Jarrod Gilbert. Next PostAddressing uncertainty in basic income – Michael Lewis.